„Ends & Entries” are 15 original sound pieces about Marseille, Liverpool, Gdańsk, Napoli, Istanbul. Why these cities ? Big ports, of mixed population, with a long history, more open to the outside world than integrated to their own countries, industrial cities on decline that try their luck with culture and, notably, with European Capitals of Culture. They are all Cities on the edge. They are all Ends and Entries of Europe. The piece „Meat & Potatoes” is a subjective impression on Gdansk in which I have lived for more than 10 years and on my neighborhood. I feel I am already citizen of Gdansk. I have been raised in Suwalki – town in the north-east Poland, not far from border with Lithuania. The composition is also a tribute to a dish called “Kartacze” – the most important dish of my childhood. “Kartacze” are huge potato dumplings with meat in it. Our family used to have them on Sunday and we all took part in complicated process of preparing the dish. It was a kind of family ritual, which I have very warm memories of. “Kartacze” were also eaten on Monday morning after heating them up and frying before heading off for school or work. In terms of sound, the composition is a collage of field recordings made from the balcony of my flat and also accidental recordings made during walks, for example a concert of an itinerant brass orchestra from Romania, which arrived to our neighborhood one day an played in front of the balconies. The piece consists also of electronically generated sounds. As an essential part of my project I give a recipe for Kartacze. In Gdansk this dish is unknown. Peel the potatoes, boil 1 kg of potatoes, the rest shred and drain, leave the starch. Grind the boiled potatoes; leave one spoon of potatoes so it can be added to meat. Add one spoon of boiled potatoes, fried onions and spices to mince meat. If meat is too thick you can add water. Cover the formed meat balls in pieces of dough and put into salted boiling water. Boil without a cover for about 45 – 60 minutes depending on the size. Wireless Bluetooth transmitter installed in The Old Town Hall in Gdańsk will enable people within its coverage to connect to it with their mobile phones. After activating Bluetooth protocol in a mobile phone, transmitter is sending to each identified device message inviting to download sound files. During the project “Amplificador 5” short acoustic forms, namely recordings of synthetic representation of sounds emitted by porpoises will be transformed into mobile phone ringtones. They will be available in mp3 format. Short, dynamically variable acoustic events also called “click-trains” are generated by porpoises during echolocation. They perfectly serve the purpose of being the mobile phone tones that fill the audiospace so ubiquitously recently. It has to be mentioned that they will not be the real sounds of porpoises but their synthetic representation, some kind of acoustic phantom, equivalent of reality that cannot be heard. During echolocation porpoises use frequencies beyond the range of human ear. Software that is used for reading and analysis of acoustic data gathered by scientists has some side function. Namely, the sound synthesiser that creates synthetic acoustic events simulating sounds emitted by porpoises in the way that is audible for human ear. As far as the research project is concerned it is a side function and very often unused; from the point of view of sound artist it is very interesting or even essential. Thanks to the courtesy of Hel Marine Station, the use of these synthetic recordings became possible in the field of artistic activity.The Marine Station made available recordings of synthesised “click-trains” from different periods of work of porpoise detectors. It has to be stressed that recording of the presence of porpoise is a very rare event. Many people professionally dealing with porpoises never actually saw live porpoise. It is very sensitive and shy animal and avoids contact with humans. The main event of the “Amplificador 5” project will be the performance with the use of mobile phones equipped with aforementioned sounds. A group of performers invited to participate in preparatory and workshop activities will equip their mobiles with especially prepared set of ring tones. The task of performers will be an appropriate exposition of phones so that the sounds are audible. Creatively using their phones, the performers will produce a kind of improvised composition in the public space of the city. Dynamic, electroacoustic structure will be created that will interfere with atmosphere of the city. Synthetic sounds generated from digital data recorded in the depths of Baltic Sea will become a metaphor for another, fascinating but alien world of animals. In this case, the world in which the main medium is specifically used sound. I also hope that these sounds left in the mobile phones will be used as extraordinary mobile ringtones. The lecture and presentation on porpoises and methods of their protection will be very important element of the whole event. It will ensure that the workshop activity is met with appropriate reception from public and participants. The collaboration of a visual artist and an experimental musician has resulted in a most interesting and thought-provoking artistic project. Mariusz Waras and Krzysztof Topolski’s spectacular site-specific installation was made specifically to be exhibited in the biggest room at the Centre of Contemporary Art Znaki Czasu in Toruń. For both artists, working on the project was a novelty. Mariusz Waras, an artist who has so far found artistic expression in two-dimensional murals, now constructs a huge, three-dimensional object; Arszyn supplies it with a special interface for interactive involvement of the viewer, offering each and everyone the possibility of creating an individual soundtrack. The vast, engine-driven factory is accommodated in an institution dedicated to contemporary art, like an ironic comment on the mechanisms of the production of artifacts and cultural policy. The m-city­ factory produces nothing, it serves no useful purpose, but it stirs the senses nevertheless, and its huge dimensions emphasize the transformations that contemporary culture is undergoing. This factory needs no workers. The engines that keep it going require little attention. The ghostly nature of the installation evokes a vague sense of danger and forecasts the end of physical work. The installation highlights the notion which is common nowadays that physical work is disappearing. However, the end of work foretold by Jeremy Rifkin has not happened – its means has merely been shifted. A traditional Ford factory has indeed disappeared as the machines has been sent off to China. Workforce has been reduced and reeducated, and their work is now performed elsewhere. The factory is thus an image of the industrialization myth and its revolutionary connotations which, in Europe, have become history. Yet, is a contemporary museum not similar to a traditional production plant in a number of ways? Perhaps the factory and its mechanisms have been imposed on the entirety of societies, and Leaving the factory is no longer possible. Escape from productivity is the only way to oppose neoliberalist order. I prepared special soundtrack dedicated to wireless headphones. Visitors, pedestrains, customers borrowed headphones and listened to te sounds. I created an imagined soundscape of the past and future. It was composed spacially for that place, space and time. Non linear reconstruction of the forgotten, lost audiosphere and imagination of unknown future soundscape. We present an entirely acoustic improvised music performed by a duo: Tomasz Duda – saxophones and Krzysztof Topolski – percussion. An hour-long material full of unexpectedly dramatical twists in plot, sonorist attention to detail and meditation on the mercilessness of time. „We’ll continue with some sax-drums duo, now from Poland, with Tomasz Duda on saxophones and Krzysztof Topolski (also known as Arszyn) on percussion. The music does not have the broad range of the Braxton-Hemingway album I reviewed yesterday, but it has the merit of being extremely direct in its expressivity, starting from the absolute basics of rhythm and phrasing, often adventurous and playful at the same time, wondering about the sounds that can erupt out of their instruments, sometimes tribal, sometimes deep into the avant-garde, sometimes barely touching silence, sometimes wild and agitated, yet always hypnotic and compelling, and increasingly so with the sensitive minimalism that ends the album. 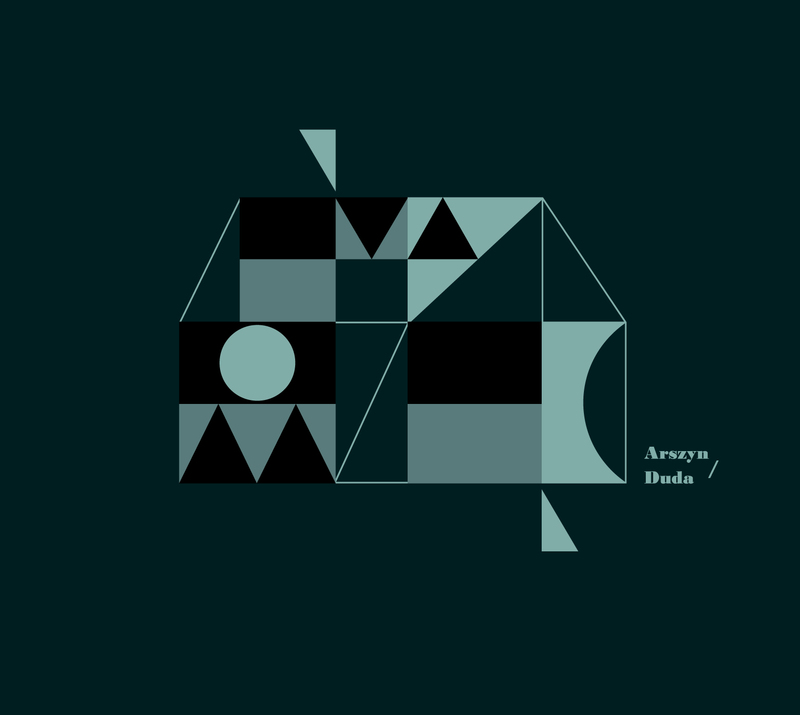 „Arszyn/Duda is a polish duo by Tomasz Duda (saxophones) and Krzystof Topolski (percussion). Topolski is a drummer and sound artist, operating in the field of electronic and electroacoustic music. Arszyn is his alias. Tomasz Duda studied saxophone and got involved in improvised music by participating in many, many workshops. Both gentlemen played with numerous other musicians from Poland, so I suppose both have their place in the polish scene of improvised and experimental music, of which I don,t know anything I have to admit. On their release „Se” they make their statement in three extended improvisations. The improvisations came into being in the studio. „No cuts, no edtis”, we are assured although this is hard to believe in a few passages. Both players have a lot of (extended) techniques at their disposal. And what is more, they use them effectively in creating some inspired improvised music. Especially the expressive playing by Duda is responsible for some outstanding moments in these improvisations, that demonstrate a fine communication between the two. They use all possible registers. Delicate moments are changed for raw outbursts, etc. Sometimes the drummer uses repetitive patterns. Although they stay focussed throughout and they paint varied textures, at times the improvisations are a bit lengthy, and could be more condensed. But above all, we have a fine duo at work here.” (Dolf Mulder) Vital Weekly 727. 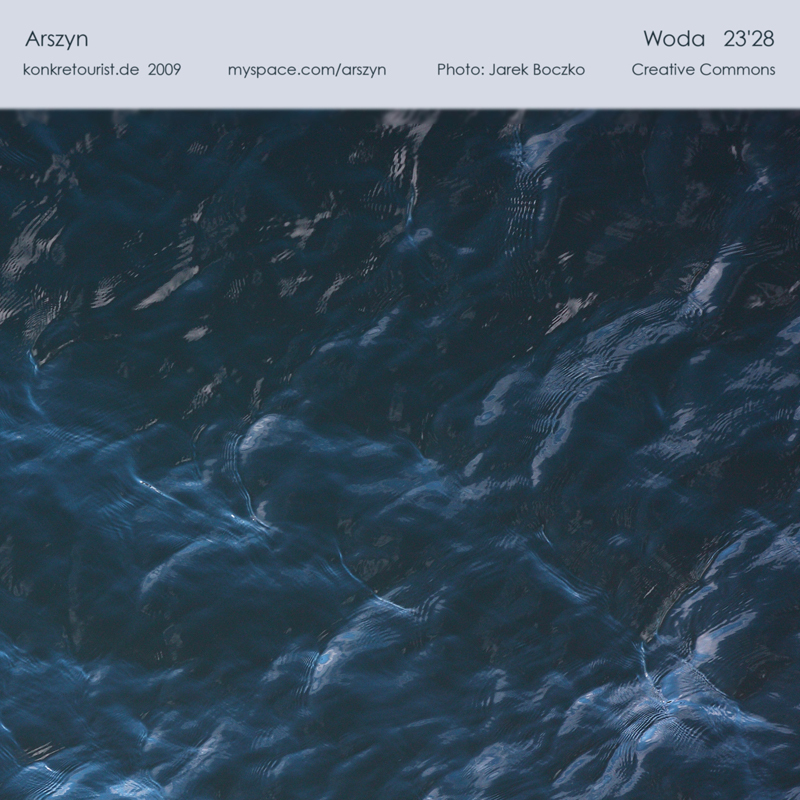 The „Tresymesy” piece has been composed as a part of the „Mission Europe” project. It is based on the field recordings and recordings of human voices made in Zagreb, Sarajevo, Belgrade and Gdansk. It began as a kind of query: the recorded people were asked to say „home”, „family” and some words they find important in their native language. The artists were interested in the language; the similarities and the differences between most basic words. They would like to thank everybody who shared their voices with them. „… While Emiter.Arszyn’s live recording „07. 11. 2005”, released on audioTong a few months ago and reviewed in Vital Weekly 564, was a fine blend of drones, soft pulses and field recordings, their latest release heads in a different direction. For „Tresymesy” Marcin Dymiter and Krysztof Topolski, who are behind Emiter.Arszyn, travelled to Zagreb, Sarajevo, Belgrade and Gdansk and asked people there to say the words ‚home’, ‚family’ and „some words they find important in their native language”. A concept like that of course brings up quite a lot of theoretical implications (and complications, as well, I guess), but since I’m only marginally familiar with the discourses on migration, hybridity, (national) identity, neo-conservatism and the history of the Balkan, I’ll have to skip an in-depth discussion of these topics. All started with the idea of exploring the sonic layer of the immigrants’ language. The language is alive, but how to record it? It’s hidden, intimate, or it’s the language of profession. I didn’t spend much time in London. Some time ago I stayed there as long as half a year. Somewhere deep inside I was feeling the urge to visit the city once again. Some day I will go there again – that’s for sure. The technology, the organization, the noise and the center of the modern world. I was recording the soundscape of London, looking for hidden sounds and registering the overwhelming noise of a vibrant life in a big city. I was meeting Polish immigrants who lived there and I was recording their stories. I was asking them how they see the city and themselves, what their lives look like. I became a listener of the audiosphere and a sound explorer. The album is published as a cooperation of sqrt and Plg rec. 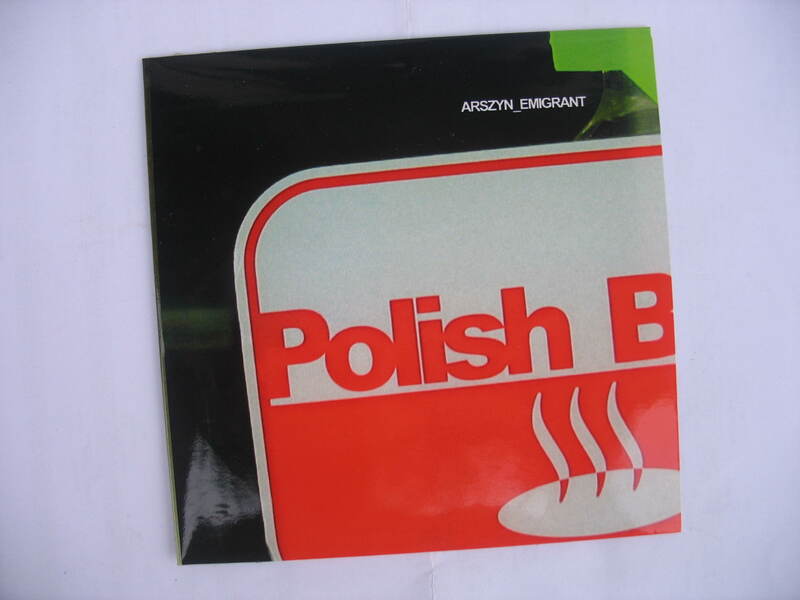 „Recordings of Polish émigrés in London mixed with frayed, dirty electronic emanations. That’s exactly what this CD encloses: no actual music, just crackle, filter-based aural defacement, subsonic pounding, urban bedlam and chatter by an entire lot of different people. The author wanted to report about “the overwhelming noise of a vibrant life in a big city” and, in that sense, succeeded. Everything you want to hear is there: cars, voices, TV excerpts (maybe), the surrounding din, whatever. Then the interviewees start narrating their stories – mostly in Polish language of course, therefore incomprehensible for yours truly – and the whole becomes an audio documentary of sorts. Well recorded, harmonious in a way (I always tend to consider unfamiliar foreign idioms as music when listening to them), actually being nothing more than a curiosity – but it sounds good. Merged with the summer cicadas chanting outside my window, pleasing at times. Halfway through musique concrete and post-industrial, there are worse things around. This can stay”. Meeting and cooperation of sound artists from Gdańsk and Kalliningrad. Research trips to Gdańsk and Kaliningrad, workshops, field recordings, concerts, improvisations. Artists from Gdańsk and Kaliningrad recorded music of the cities, then improvised with its source material, both exploring history and current situation of both places. Edited, composed and produced by Arszyn July-August 2009.
rhythmical sequences at the same time. Without water there is no … We still have a problem with water access and how is it commercialized! Very soon the new brands of bottled water emerge – more distilled, more out of earth’s depth. Being a kid in a small town I drank water directly from taps and hydrants. Today we have to filter water to become tasty and good for drinking. To produce one bottle of water we waste so much energy. Maybe drinking water from plastic bottlers should become a dead fad. I have heard that it is a fact at some places. But free market won’t give up and will push up the limit. Water access is the primary subject and main inspiration of my composition which is composed mainly on the basis of its sounds. Please think about it while you listen to Woda. I recommend it and wish you a water access. We have 1.500.000.000 km3 of water. Out of 1.500 milion km3 only 39 milion km3 are sweet water. 5 milion km3 is on the Earth’s surface. Only 0,12 % in total is drinking water.